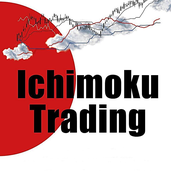 About me ChaosTrader63 is a forex trader specializing in trading the Ichimoku Kinko Hyo. Founder of FX At One Glance which is designed to help traders reach their financial goals through a personal relationship based on personalized, knowledgeable training. What you do in public defines your reputation, what you do in private defines your character! GBP/ In this quick take video I want to take a moment to show you a C-Clamp trade opportunity with the GBP vs USD. PM In this my first tradingview video idea, I would like to offer my analysis of a possible long trade as price has hit the 52 week low and shows a bullish divergence. Let me know if you like my idea or if you like the video and I will continue to due these short takes. EUR vs USD Up Against The Ceiling!